Starbucks just paid £5 million ($7.7 million) in U.K. corporation tax, as the coffee giant starts to follow through on its pledge to pay £20 million in additional U.K. taxes in 2013 and 2014. 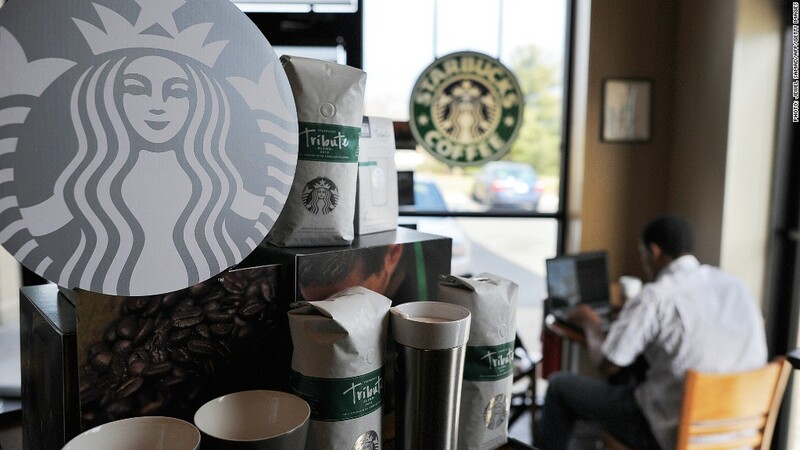 Starbucks has made its first U.K. corporate tax payment since 2008. The coffee retailer said Monday that it handed over £5 million ($7.7 million) in U.K. taxes this month as it works to placate lawmakers and an angry public that believe the coffee retailer is not paying its fair share of tax. Starbucks (SBUX), along with a number of other American companies, has faced a public backlash in the U.K. for paying very little tax despite its high-profile presence in the country. The coffee chain maintains that its British business is not profitable, which means it does not have to pay British corporate taxes. But even so, the company decided in December to pay £20 million in additional taxes in 2013 and 2014. June's £5 million payment is the first in a series of payments from the company, which has stopped claiming tax deductions for royalties and other inter-company payments. "We felt that our customers should not have to wait for us to become profitable before we started paying U.K. corporation tax," the company said Monday. Meanwhile, U.K lawmakers have slammed Starbucks and other well-known companies such as Google (GOOG) and Amazon (AMZN), arguing they use loopholes to avoid large tax bills. The British government has been stepping up efforts to close loopholes for big companies as an economic slowdown makes it harder to meet revenue targets.